11th – 20th September, concurrent with the Southampton International Boat Show. Do stop by at our dry stand – J068 – to chat about all things marina and yacht refit & repair and your yachting plans. Get Tickets here – Southampton Boat Show. In addition, afloat, the Windy 45 Chinook and Draco 22RS will be making their UK debut at the show, alongside the Draco 27RS (European Power Boat of the Year), Windy 29 Coho and Windy 39 Camira which was awarded the accolade of 2015 Motorboat of the Year. Come and see us on berths M115-M120. As our previous eNews announced, we are now very closely involved with Discovery yacht sales, both new and brokerage, so do also visit the Discovery 55 MK II on display on berth number – M163. Berthon’s Mark Waterhouse will be on board for the duration of the show to discuss all things Discovery , including four pre-owned yachts available at Berthon at our Collection 21 during the Southampton Show only a half hour drive away and with free car parking! The newly named Cannes Yachting Festival, will take place Tuesday 8th to Sunday 13th September. Berthon will be again flying the flag for Windy Boats in France, with the Windy 29 Coho, 39 Camira Sun Lounge (new launch) and Windy 40 Maestro all available to view afloat at quay Pantiero PAN 014. October 8-12, Dock C with the Azuree 46, Euphoria 54 and Moody 41. 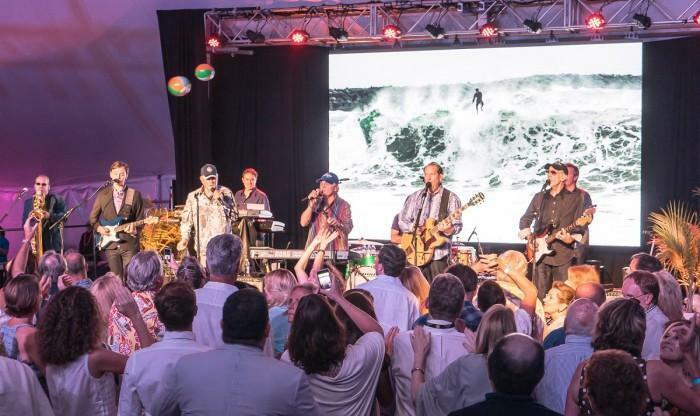 The International Yacht Restoration School (IYRS) Event – Berthon USA – and the Beach Boys! 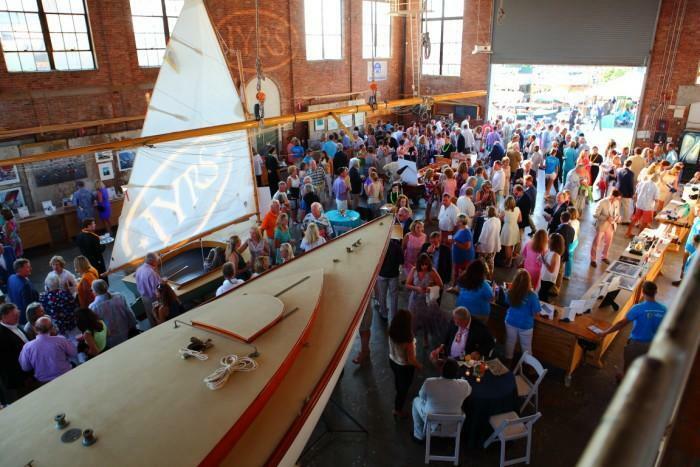 July 11th was a big night in Newport and as ever our Jennifer Stuart, Alan Baines and Bill Rudkin – the Berthon USA team – were in the thick of it at St James Street for the annual IYRS fundraiser – the marine party to be at for the season. This year over US$800,000 was raised which is used for educational purposes at the School so all the partying, dancing and drinking are in a very good cause! Berthon represents Sirena Marine in the USA, builders of the Azuree and Euphoria range of performance cruising yachts, and Sirena were sponsors of the event. Included in their generous donation was the use of an Azuree 46 and Euphoria 54 for day sailing which went down extremely well. Just to make this gift a little more special, the yachts’ designers German Frers and Rob Humphreys were also on board! A big thank you to Ipek Kirac of Sirena Marine who made it all happen. Not only was it great fun but the result was some epic shots of both yachts sailing in Narragansett Bay. As the marine event of the year, the music was also rather less than low key – so the Beach Boys (yes really) were the entertainment. It is not an exaggeration to say that from the first chord to the last, the entire tent was up on the dance floor (tables were also put to good use). We can report that not only are the Berthon and Sirena crews, together with the designers of their yacht, passionate about what they do, they also made sure that they were the very last to sit down! Great event, thank you Sirena, German Frers and Rob Humphreys for a great event.